You are here: Home » FOOTBALL FOOD…THE KICKOFF! Football season is here again and on Mid-Week Mixers that means fun food for tailgating – whether you do it from the back of your SUV or sitting in front of a sofa. And this year Naomi Blackburn has got a great lineup of favorites starting with the always popular Little Smokies. So from now through the end of September stop back every Wednesday and get your game food on so you’ll be ready for Thursday night in front of the TV or Sunday at the stadium. Have fun! These are must haves in the Blackburn home. These bad boys are so simple to make they are unbelievable. Partner with the sauce and you have a great entertainment appetizer. 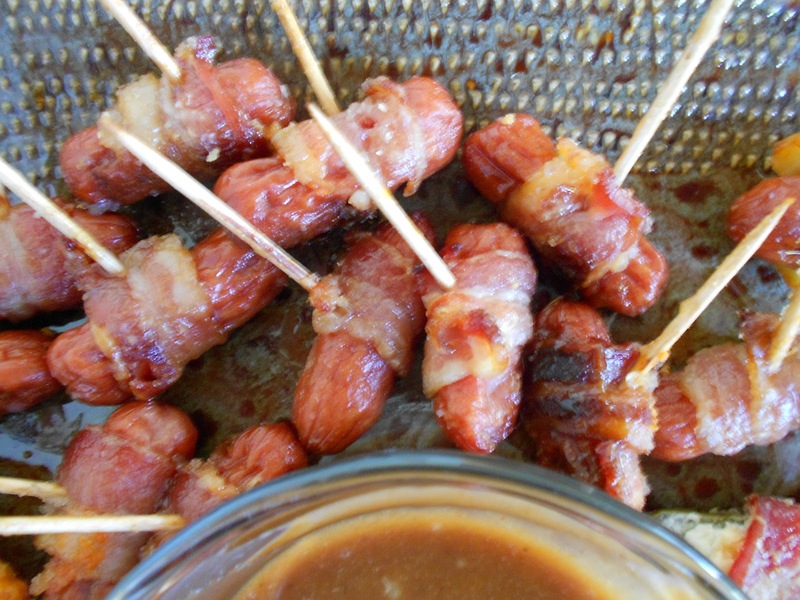 Basically, the Brown Sugar Smokies are bacon wrapped mini sausages that are wrapped in a quarter slice of bacon and coated with brown sugar. The sauce also has 3 simple ingredients of mayo, brown sugar and bottled bbq sauce. Yep, it really is that simple! 2) Cut bacon into thirds and wrap each strip around a little sausage. 3) Place the wrapped sausages on wooden skewers, several to a skewer. 4) Arrange the skewers on a baking sheet and sprinkle them liberally with brown sugar. 5) Bake about 30 minutes or until bacon is crisp and the brown sugar melted. 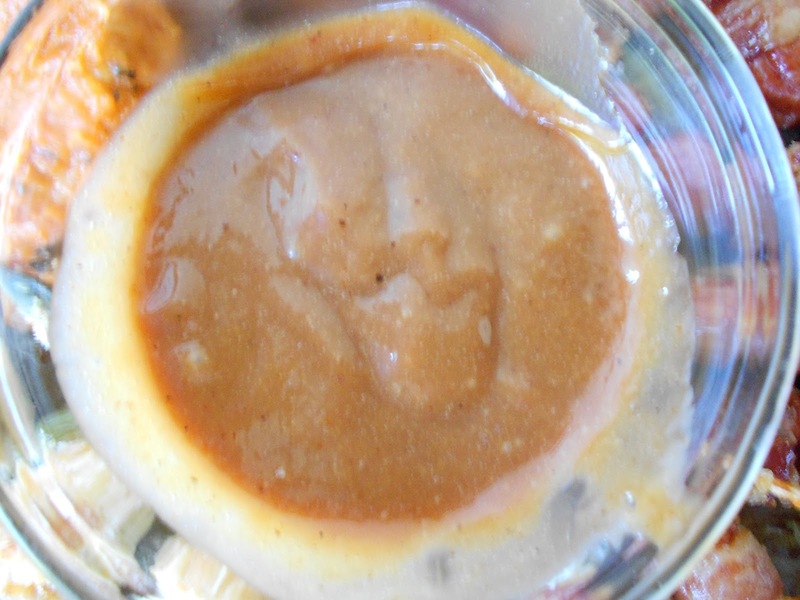 1) Stir together mayonnaise, barbeque sauce, and brown sugar in a small bowl until the brown sugar has dissolved. Chill while smokies bake! Just saw Sherry’s reblog. Yum Yum! !